There were about 8,103 students enrolled for the fall of 2018 and NEIU is concerned about rates dropping for future semesters. NEIU students, educators and the general public gathered in Alumni Hall to listen to President Gloria J. Gibson recount on her position as president and speak on NEIU’s current state on Nov. 27. Gibson, alongside the Board of Trustees, spoke on NEIU’S financial climate and enrollment by showing state funding and enrollment data projected on a screen to attendees. Gibson provided a solution to solve the decrease in funding by establishing recruitment and other future positions. Gibson appointed an interim assistant vice president for enrollment management to help develop the infrastructure and services needed to recruit students. Vice President for Student Affairs Dr. Daniel Lopez said that personalized services for first-year students will also be considered when students enroll at the university. NEIU student Berdell Williams did not know about enrollment dropping. Williams was given the support services through NEIU to pursue higher education. 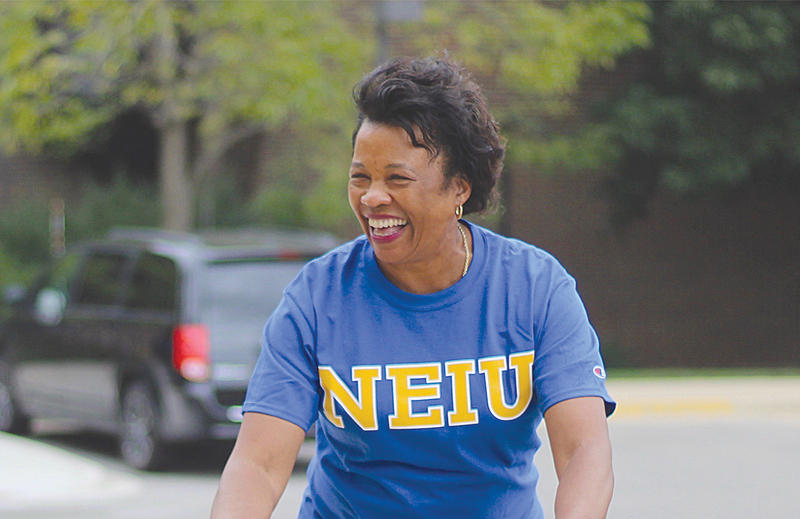 Williams believes high school graduates should think about applying to colleges, especially NEIU. Gibson hopes to have NEIU current students and alumni recruit first-year students for next fall. Despite a decline in first-year student enrollment, transfer student retention rates are high at 80 to 90 percent. Gibson encouraged students, faculty, staff and educators to recruit students to help improve the current state of the university. Gibson said she would work hard to improve enrollment herself. “I’m the type of person who likes to see the glass half-full. I know there are obstacles, but I do not want to dwell in the past. I want to understand and acknowledge the past. I want to move us forward,” Gibson said.